Buried treasure is something that you hear about in old stories involving pirates on the high seas. It is usually something that people associate with fantasy. It is certainly not something you would expect to stumble across when you are out walking your dog. 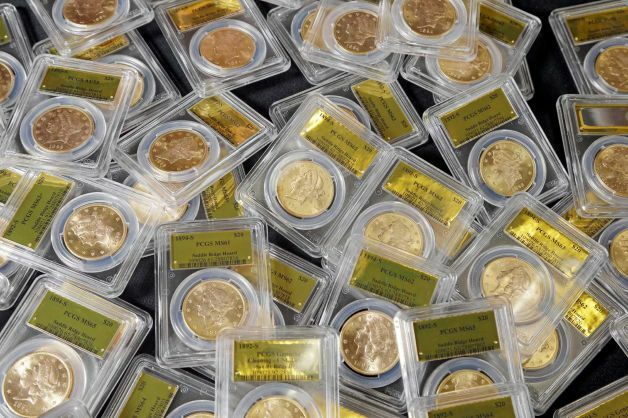 That’s what happened to a couple in Northern California recently when they stumbled across a modern-day treasure chest that contained $10 million in rare, mint-condition gold coins. The coins were buried in the shadow of an old tree on their property. He went on to explain that the couple prefer to remain anonymous as “Their concern was this would change the way everyone else would look at them, and they’re pretty happy with the lifestyle they have today.” The couple intend to put most of the coins up for sale through Amazon while holding onto a few themselves. This is the largest discovery of gold coins since 1985 when $1 million worth was uncovered by construction workers in Jackson, Tennessee. Back then more than 400,000 silver dollars were found in the home of a man who died in 1974 and were later sold intact for $7.3 million.